Asiad Steels is one of the renowned suppliers and manufacturers of Hastelloy C 276 Round Bars, which is thick in the heat-treated condition at 2050°F, rapid quenched, has an average Olsen cup depth of 0.48". 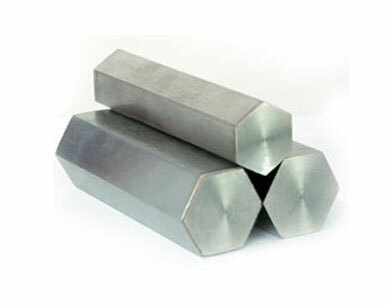 HASTELLOY C-276 alloy Round Bars can be forged, hot-upset and impact extruded. 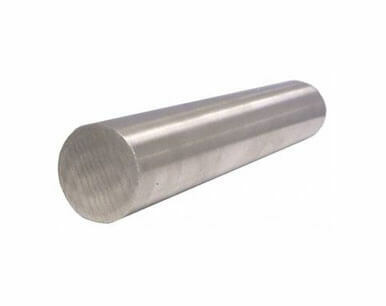 Alloy C276 Bars welding products are used as matching composition filler material for welding C276 alloy wrought and cast products, for dissimilar welding applications including other nickel-chromium-molybdenum alloys and stainless steels, and for weld overlay or cladding of steels. Parts which have been hot-formed in HASTELLOY C-276 alloy Bars should be solution heat-treated prior to final fabrication or installation, if possible. At all temperatures below the boiling point and at concentrations lower than 65 wt % in HASTELLOY C-276 alloy Rods, tests have shown corrosion rates of less than 5mpy (0.13 mm/y). A common solution in Alloy C276 Rods for assessing the resistance of materials to this extremely destructive form of attack is boiling 45% magnesium chloride (ASTM Standard G 36), typically with stressed U-bend samples. Not only is it encountered in marine transportation and offshore oil rigs, but HASTELLOY C-276 Round Bars is also used as a coolant in coastal facilities. The performance of HASTELLOY alloys C-276 Round Bars in a severe test for susceptibility to intergranular attack. In chemical processing, Hastelloy C276 Rodsis used for components including heat exchangers, reaction vessels, evaporators and transfer piping. The concentration limit of 20% hydrochloric acid is the azeotrope in Hastelloy C276 Bars, beyond which high temperature corrosion tests are less reliable. 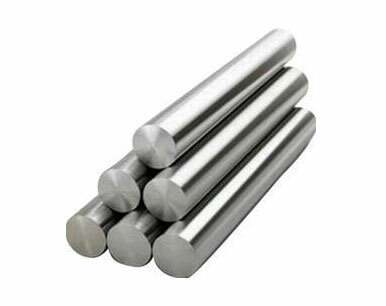 Buy Alloy C 276 Round Bars at reasonable rates from us. We are Exporter of Hastelloy C276 Round Bars in Worldwide Such as India, Ukraine, Tibet, Gambia, Switzerland, United Kingdom, Kuwait, China, Angola, Mexico, Kenya, Turkey, Slovakia, Mexico, Japan, Russia, Norway, Germany, Chile, Singapore, Kazakhstan, South Africa, Belgium, Costa Rica, Egypt, New Zealand, Malaysia, Lithuania, Nigeria, Spain, Peru, Croatia, Sri Lanka, Argentina, Estonia, Zimbabwe, Czech Republic, Bulgaria, Philippines, Venezuela, Serbia, Nepal, Yemen, Jordan, Canada, Finland, Nigeria, Indonesia, Australia, Hungary, Iran, Iran, Austria, Puerto Rico, Taiwan, Iraq, Libya, Oman, Israel, Poland, Vietnam, Pakistan, Portugal, Azerbaijan, Denmark, Sweden, Colombia, Thailand, Ecuador, Gabon, Brazil, Afghanistan, Bangladesh, India, Romania, Italy, Bahrain, Morocco, Saudi Arabia, Qatar, Trinidad & Tobago,Tunisia, Bolivia, Poland, Chile, United Arab Emirates, Ghana, Macau, Mongolia, Lebanon, Belarus, South Korea, Namibia, Algeria, Hong Kong, Netherlands, France, Bhutan, Greece, Ireland, United States. We are Suppliers of Hastelloy C276 Round Rods in India Such as Mumbai, Hong Kong, Courbevoie, Chandigarh, Kuwait City, Riyadh, Seoul, Howrah, Nashik, Houston, Vadodara, Bogota, Busan, Ranchi, Surat, Cairo, Ahvaz, Bangkok, Al Jubail, Kolkata, Dammam, Caracas, Tehran, Montreal, Mexico City, Kanpur, Gurgaon, Calgary, Thiruvananthapuram, Jaipur, Colombo, Noida, Baroda, Ho Chi Minh City, La Victoria, Santiago, Haryana, Aberdeen, Jakarta, Ankara, Chiyoda, Jamshedpur, Brisbane, Dubai, Faridabad, Gimhae-si, New York, Mumbai, Pune, Coimbatore, Al Khobar, Pimpri-Chinchwad, Istanbul, Petaling Jaya, Nagpur, Muscat, Los Angeles, Secunderabad, Madrid, Jeddah, Sydney, Chennai, Thane, London, Ahmedabad, Indore, Doha, Geoje-si, Hanoi, Ernakulam, Navi Mumbai, Bengaluru, Perth, Ludhiana, Rio de Janeiro, Milan, Karachi, Bhopal, Moscow, Vung Tau, Edmonton, Manama, Rajkot, Singapore, New Delhi, Sharjah, Atyrau, Lagos, Visakhapatnam, Algiers, Granada, Toronto, Ulsan, Kuala Lumpur, Melbourne, Abu Dhabi, Dallas, Lahore, Port-of-Spain, Hyderabad.